Some suggestions: consider the Codex Alirientarius values and the ’09 ICRP 111 document. Also, more background info would be greatly appreciated. Wish I had more for you at this time, but the earthquake this morning did interfere with our review of your draft. To: Huffert, Anthony; Gepford, Heathert. 1. 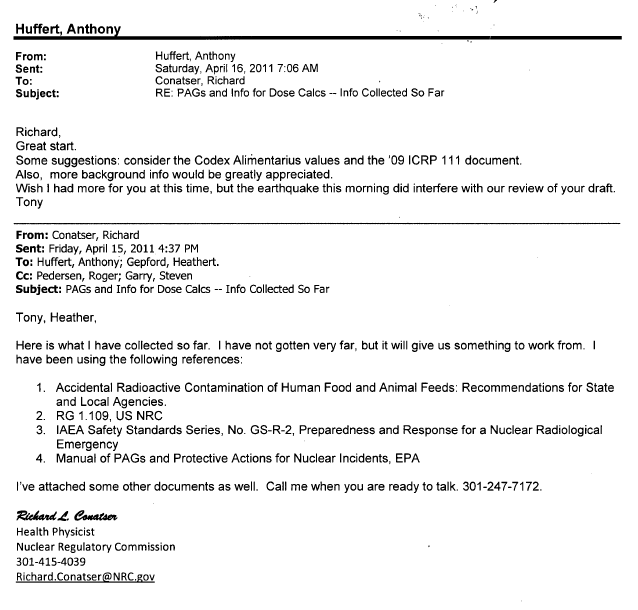 Accidental Radioactive Contamination of Human Food and Animal Feeds: Recommendations for State and Local Agencies. I’ve attached some other documents as well. Call me when you are ready to talk. 301-247-7172.